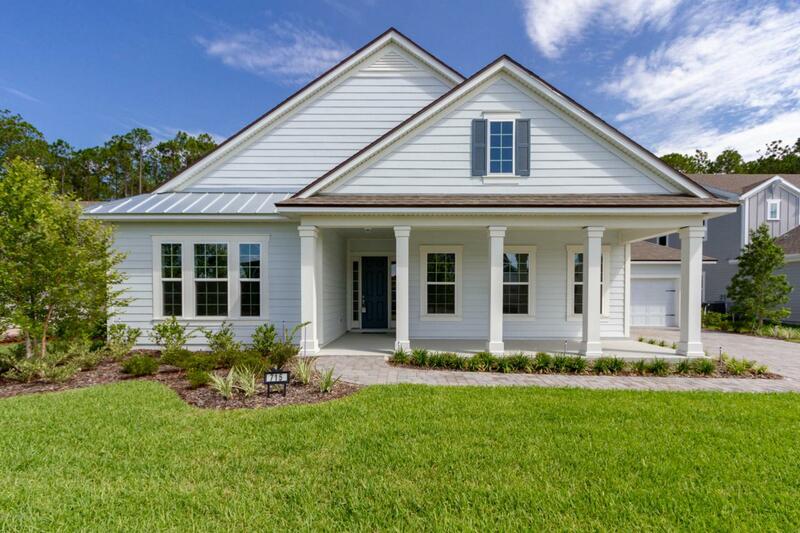 Love life in this Coastal design Ponte Vedra home . Brand new without the wait! 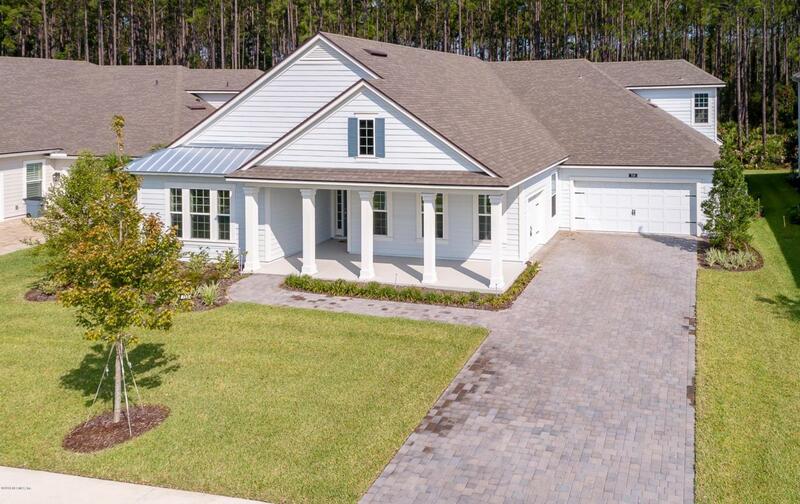 This amazing Energy Star home will welcome your family to Nocatee's desirable Twenty Mile neighborhood. Delightful open and spacious floor plan. Coffered ceiling in great room, Spacious kitchen with large island, white cabinets and stainless appliances. Butler's pantry and walk in pantry lead to formal Dining Room. You'll love the owner's suite and study which are down a private hallway. The owner's suite is spacious and features a Serenity Spa bath that is a true oasis including double showers, soaking tub and dramatic sparkling glass doors. The over-sized walk-in closet is everything you've dreamed of - with a dressing vanity, built-ins and a private entrance to the laundry.A Jack and Jill bath is between bedrooms 2 & 3. The separate Guest suite has a full bath. Upstairs is a bonus room and full bath. 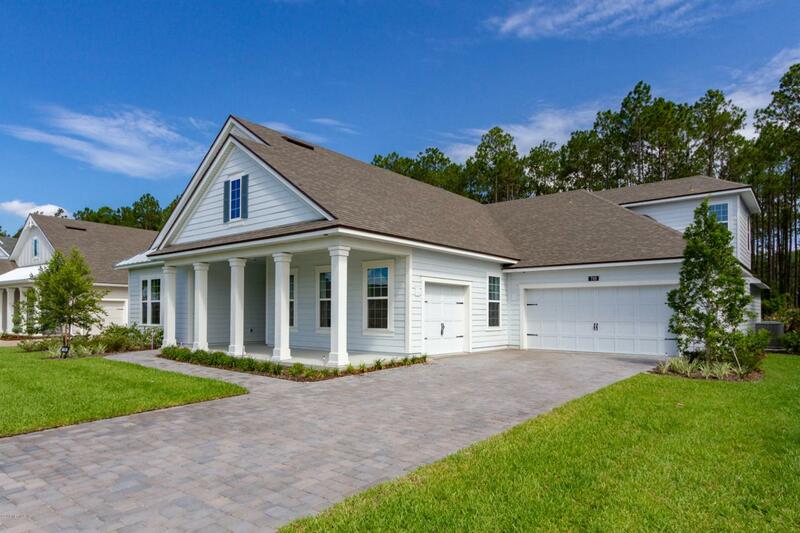 This Energy Star smart home with natural gas awaits your family's arrival. 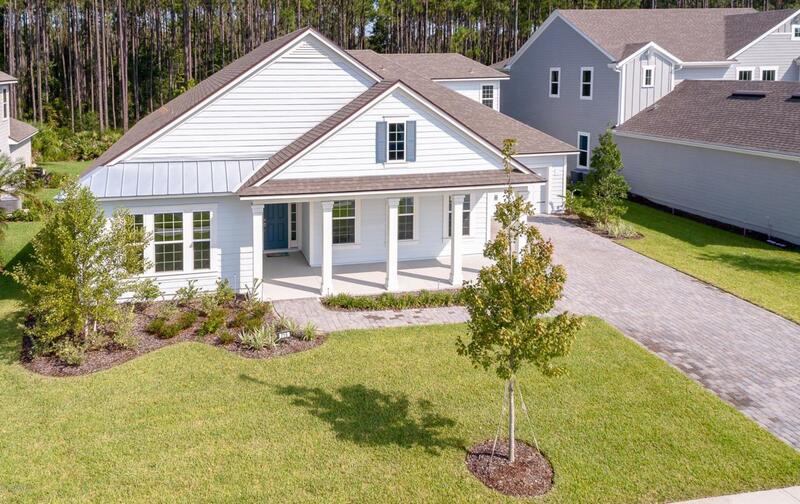 The Screened oversized lanai faces the preserve and beckons you to relax and enjoy with friends and family. BUILDERS WARRANTY for 1st YEAR STILL IN EFFECT!!!! Additional AHS warranty also available.